Production music plays a vital role in the way stories unfold in movies, videos, commercials and television. Often, it is the unacknowledged backdrop that keeps a viewers attention focused on an intense plot or compelling characters. Before you choose the right music for your next studio project, here are some things to consider. There are practical benefits the right studio should afford its clients. If you are a part of the sound production work doing voice overs, singing or helping the musicians and engineers come up with the right sound, you will need to be prepared to spend hours in the studio. For that reason, the studio should be close to eateries, lodging, convenience stores and other places you might need to dash to in order to make yourself comfortable. Isolated studios that are too remote are always ideal. The studio should also have access to most of the tools you will need to complete your project. 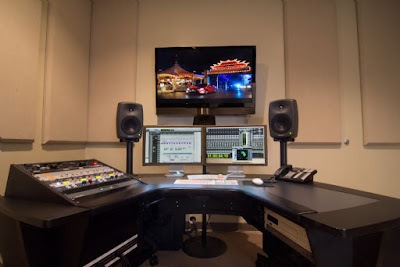 For example, if you are first recording sound, but intend to merge your tracks with video, it is practical for the studio to also have a video service offering. One stop shopping is economical and convenient. Perhaps this should go without saying, but many music clients choose a studio based on hourly or project rates alone. While it is understandable that every budget must be closely monitored, the price alone should not determine which is the best studio for a particular project. The space should inspire the people who are working on the music or sounds. It should have good acoustics, lighting, or lack of lighting, if that is what inspires the work, and soothing decor. The more comfortable the space is for clients, the easier it is to complete a project. Additionally, it is important to notice the layout of the studio and the size of the live room. If there is a need for more than one person or a band to be in the same space recording, the studio should be able to accommodate everyone comfortably. Ideally, the production space should be one that fosters comfort for people with a wide range of personal tastes. In order to keep up with the needs of clientele, studio owners must find ways to make their work space versatile. Clients who feel at ease are likely to block more studio time.